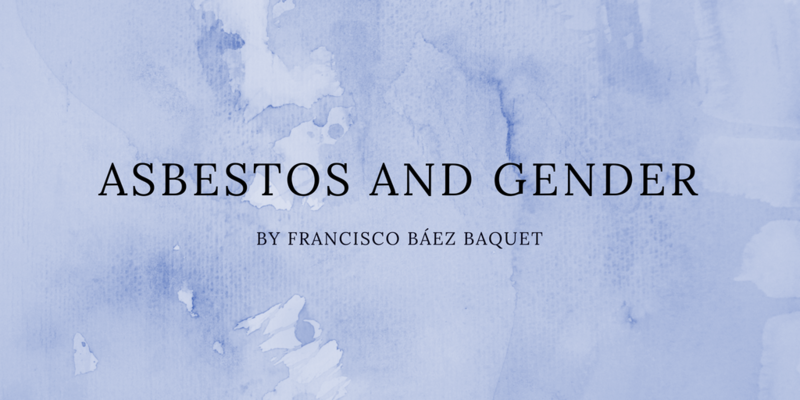 Dedication: I am pleased to dedicate the present work, to the doctors Jaume Ferrer Sancho and Josep Tarrés Olivella, in gratitude for their professional dedication to the study of asbestos-related pathologies. In 1899, the Dr. Henri Montague Murray, in London, makes the first observation of a death associated with the asbestos, diagnosing autopsy a pulmonary fibrosis in a worker who had worked for fourteen years in the carding workshop of an asbestos spinning, and who had died at thirty-five years of age. This man was the tenth victim in his area of work (in which mortality was 100%), and in it the Dr. Murray noted the interstitial fibrosis, and some “curious bodies” he had in the lungs, thus being the first in warning about the presence of asbestos bodies. The so-called “asbestos bodies” or “ferruginous bodies“, were described as such for the first time by Marchand in 1906. This letter is preferably addressed to those people, institutions or social structures of intermediation, which are in some way concerned with the issue of the presence of asbestos in buildings for public use, with special emphasis on the case of schools, given that the development of diseases caused by exposure to asbestos , usually occur with a significant time lag, counted from when that exposure occurs: it is the long latency time. That makes to the children, with their longer life expectancy, be especially prone to be able to reached, after the exposure to the pollutant occurred, be reached and of what enough time has elapsed for the incurable and deadly disease to emerge. In recent times, the media of my country (Spain) have been lavish in news related to climate change in some way, referring to intense heat waves, alternating with formidable storms, accompanied by all sorts of factors determining the increase in its intensity: torrential rains, strong winds, hail, floods and overflows, etc. Localities and areas of the country, which, except for this type of events, would hardly make an appearance in the media, their respective names are inscribed in said media, as a consequence of these meteorological events: Mountain range of Albarracín, region of the river Jiloca , Mountain range of Gúdar, Region of The Maestrazgo, Mountain range of San Vicente, Valley of the Tajo river, District of The Alcarria, Lagoons and Moorlands of Manor of Molina, Alagón (capital of the High River bank of the River Ebro Region), District of The Villuercas, Mountain range of Montánchez, etc., etc. On the occasion of such events, both the pages of newspapers and the screens of our televisions have been invaded, relatively frequently, by images that correspond to the graphic summary of each meteorological event. Among them, those that come to show the devastating effects of the passage of hurricane winds, floods and intense hailstorms. Dedication: I am pleased to dedicate the present work to Dr. Don Alfredo Menéndez Navarro, who, transcending his proven track record as a brilliant historian of occupational medicine, and through his own personal involvement – even before the authorities of the European Union, in company Dr. Don Carlos Piñeiro Díaz, has known and wanted to get involved in the fight for the universal prohibition of asbestos, for the social recognition of the Spanish victims of asbestos, and for that of the rest of the countries, for the registration of the real incidence in our country, of the asbestos-related pathologies, for the fair economic recovery of the damage caused, and for the rejection towards the guilty, for negligence, inaction, and / or deliberate concealment. To both, our personal thanks. 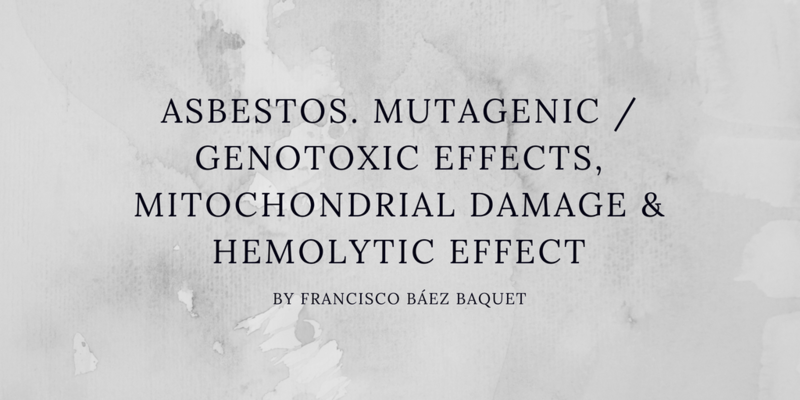 From our personal perception, the investigations into genotoxic effects of asbestos, carried out on cohorts of exposed workers, or of populations also exposed, for reasons of neighborhood, and not merely on in vitro studies (in which contamination is provided), are especially convincing. voluntarily by the experimenter himself), because those others turn out to be, therefore, practically exempt from any possibility of experimental or statistical artifact. Dedication: We dedicate this work to Dr. Joan Benach, in gratitude for allowing us to disseminate information about the content of our book “Asbestos: a Genocide with impunity”, at the headquarters of the University «Pompeu Fabra» (Barcelona). A possible causal link between exposure to asbestos and idiopathic pulmonary fibrosis (with which, that last adjective would already be inappropriate) -see: Sobradillo (2010) -, was already pointed out in Gaensler et al. (1991). See also: Taskar & Coultas (2006). a) – Certain cases of idiopathic pulmonary fibrosis are established. b) – A closer examination, with more powerful means (electron microscopy), determines that several of these cases classified as idiopathic fibrosis, evidence the presence of asbestos fibers in the lung parenchyma, at levels of the same order of magnitude as that found in cases clearly diagnosed as asbestosis. 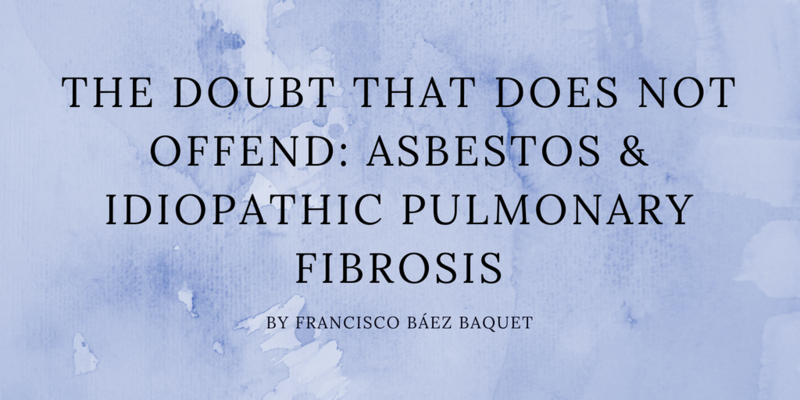 c) – As a consequence of the above, these cases are re-diagnosed as asbestosis -see: Monsó et al. (1991) -. This requalification has medico-legal effects, given that asbestosis determines the right to compensation, and, on the other hand, idiopathic fibrosis does not. d) – Acting in this way, if there really is a causal link between the so-called idiopathic fibrosis and exposure to asbestos, the casuistic evidence that these cases would provide would be eliminated. Therefore, “we would have thrown the child, along with the bath water”. Dedication: To all the victims of asbestos … who never knew they had been. 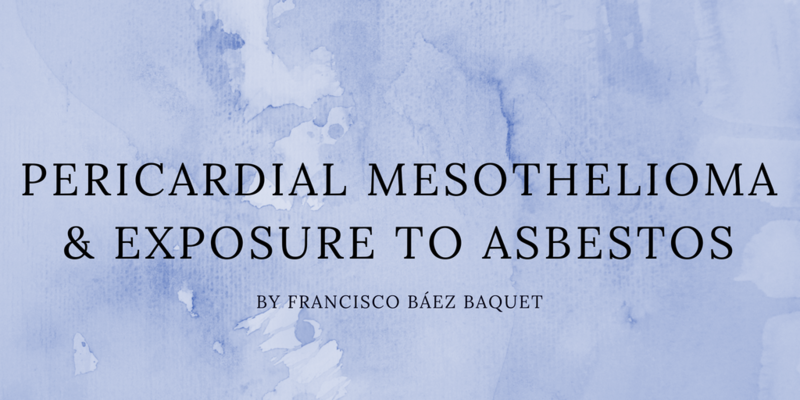 The relationship between exposure to asbestos and paratesticular mesothelioma is already deduced from the same statement of the titles of several articles in the medical literature: Attanoos & Gibbs (2000), Candura et al. (2008), Chollet (1999), Fligiel & Kaneko (1976), Gisser et al. (1977), Gorini et al. (2005), Hsu et al. (2014), Huncharek et al. (1995), Ikegami et al. (2008), Karunaharan (1986), Meisenkothen & Finkelstein (2013), Mensi et al. (2012), Mirabella (1991), Schneider & Woitowitz (2001), Skammeritz et al. (2011). 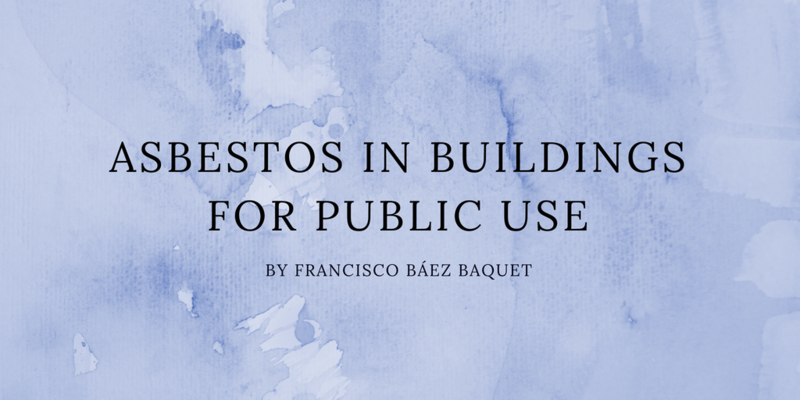 Exceptionally, that mention of asbestos in the title of the work, will be to deny the relationship, in the case of the specific patient addressed in it: Goel et al. (2008). In some cases, this relationship is supported by a poly-morbid condition, in which the same patient is simultaneously subjected to malignant mesothelioma settled in gonads, and to other asbestos-related pathologies: Watanabe et al. (1994). However, and unlike what happens with other settlements of malignant mesothelioma, only in a minority of cases is it possible to demonstrate this relationship. 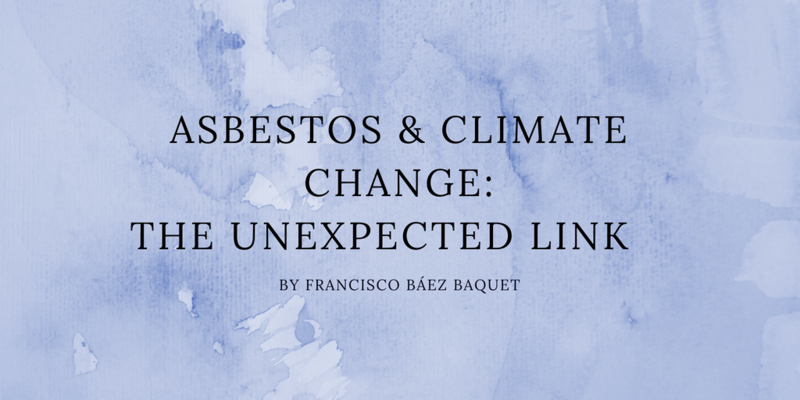 Welcome be your professional and human interest, to help clarify several of the many facets that presents the set of all the pathologies associated with exposure to asbestos. 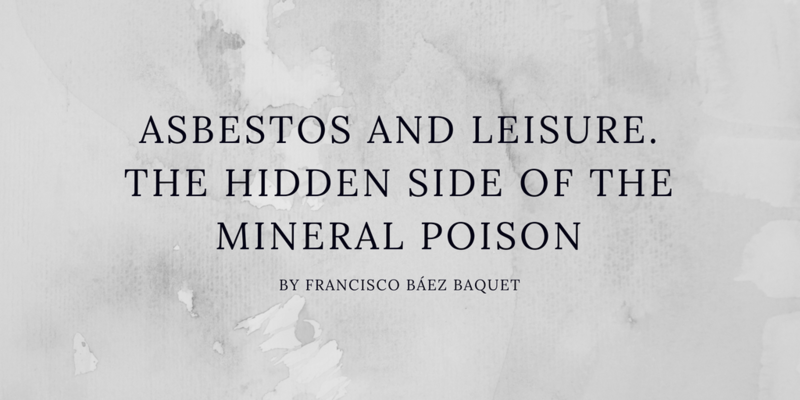 An example of the works with which these authors have contributed to the knowledge of the relationship between asbestos and the female gender, we will have it in the article by Maryse Bilodeau, included in our bibliography, in which the conditions of participation of the child and female labor, in the exploitation of chrysotile mines in Quebec. 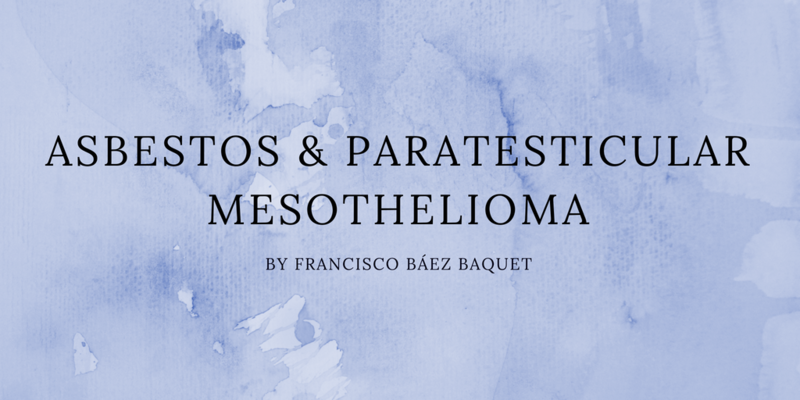 Mesothelioma -in any of its possible settlements-, in real or supposed absence of previous exposure to asbestos, remains one of the most current topics in the medical literature -see, for example: Batahar et al. (2016) -. Extreme rigor, at the time of being able to affirm, with the maximum possible security to reach, in the current state of scientific knowledge, if indeed it is, in each case considered, a real etiological absence of asbestos -or not-, it is, in our opinion, an inescapable requirement of scientific honesty, with tangible repercussions, even outside the purely academic sphere. 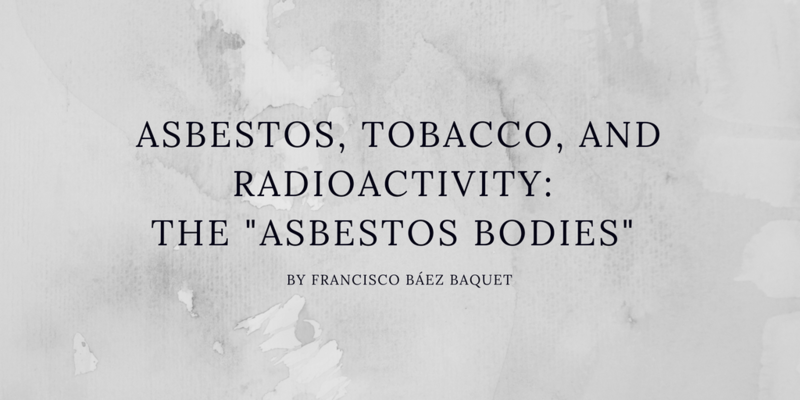 Leisure activities, facilities for this purpose, and gadgets designed for that use, may constitute as many opportunities that the presence of asbestos in those occasions and places may be determinants of affectations due to asbestos-related pathologies. So we will have, first of all, that in Konetzke et al. (1990), the authors note in their cohort 14.9% of cases related to an exposure arising in leisure activities. Similarly, in Marinaccio et al. (2012), these other authors identify, in their cohort of patients affected by mesothelioma, 1.6% of cases in which exposure to asbestos occurred during recreational activity. Acknowledgment: this article has been conceived and written, thanks to the valuable initiative, alert and cooperation of François Iselin and the Swiss association CAOVA (Comité d’aide et d’orientation des victimes de l’amiante). On several occasions, the European Court of Human Rights has come to correct judicial resolutions adopted by various nations belonging to said supra-national jurisdiction: (1). This Court, in its judgment of March 11, 2014 (2), considered that the applicable Swiss legislation, which provided for a limitation period of 10 years, was a harmful act, which violated the right of access to a court (ie , Article 6 § 1 of the Convention), given that it has been scientifically proven that a person is incapable of knowing that she is suffering from a disease, before the deadline in which all the latency time of the pathology has already elapsed suffered, which in the case of mesothelioma is of the order of several decades: (3), (4). 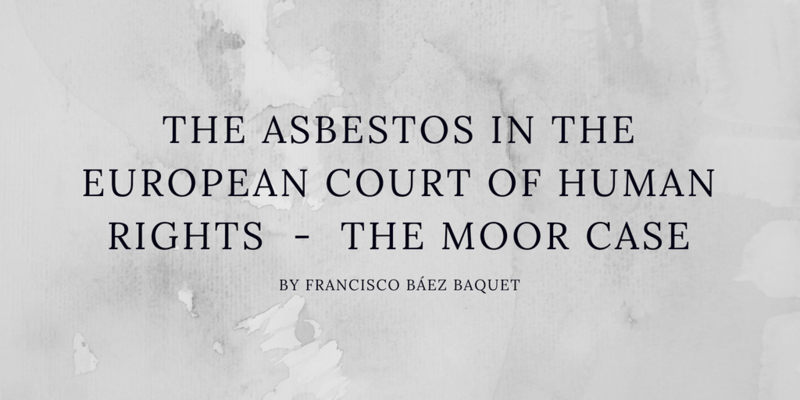 Hans Moor, who died of mesothelioma in 2005, at 58 years of age, was the first Swiss victim of asbestos, recognized by the European Court of Human Rights (CEDH). Born in 1946, Hans completed an apprenticeship as a mechanic-adjuster in 1964 at the «Oerlikon» machine factory (today, «Alstom SA»). He worked in «ABB Alstom» (formerly «Brown, Boveri et Cie.»), in the manufacture of turbines. He remained employed until his death, which occurred on November 10, 2005. From 1965, he worked as a turbine engineer and was also in charge of machine inspection, both in Switzerland and abroad.